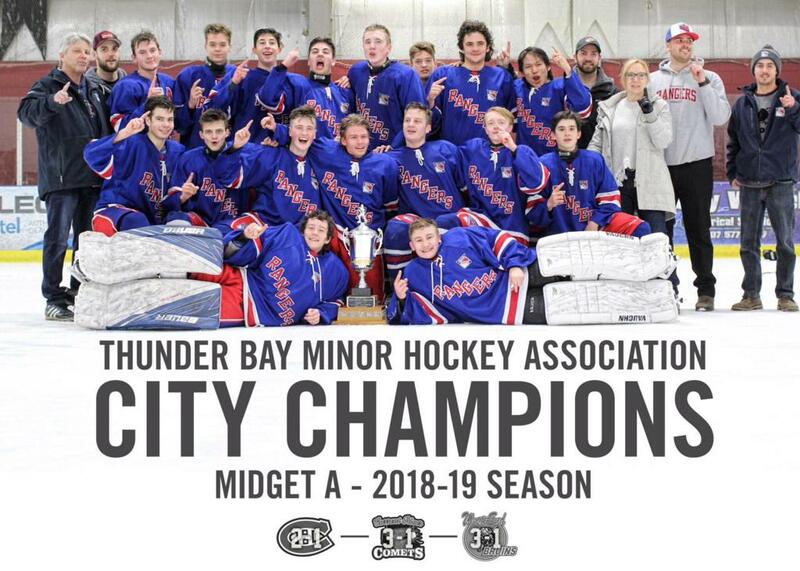 Westfort Midget A Rangers take home the city Championship!! Our AGM will be held April 24th, 7:00-9:00 pm at Confederation College, room 233C. All are welcome to attend! If you have ever wanted to help out and have a say in how things are done in Minor hockey, now's your chance! 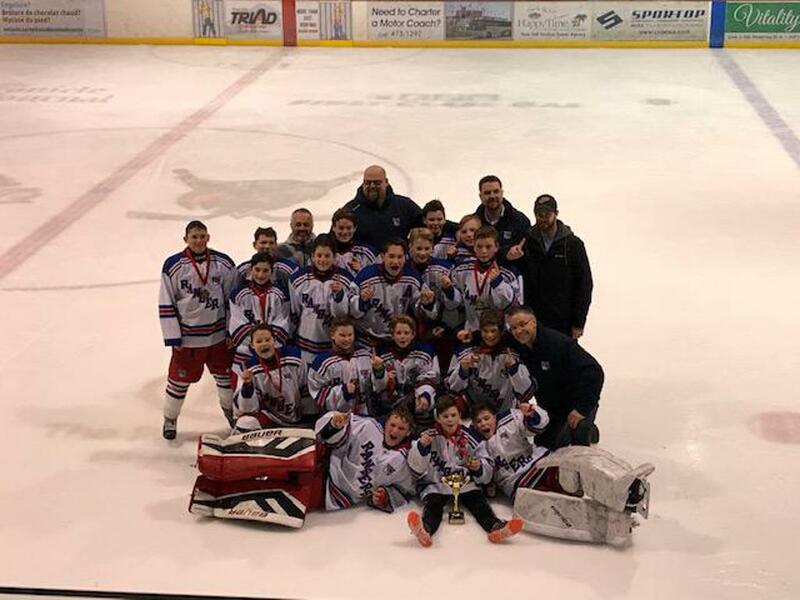 WESTFORT PWAA Wins City Championship 2019!! Congratulations to the Wesfort PWAA Rangers on their 2 game sweep of the Westend Bruins. The boys had an amazing year!! PEE WEE TEAMS ARE TOURNAMENT WINNERS!!! 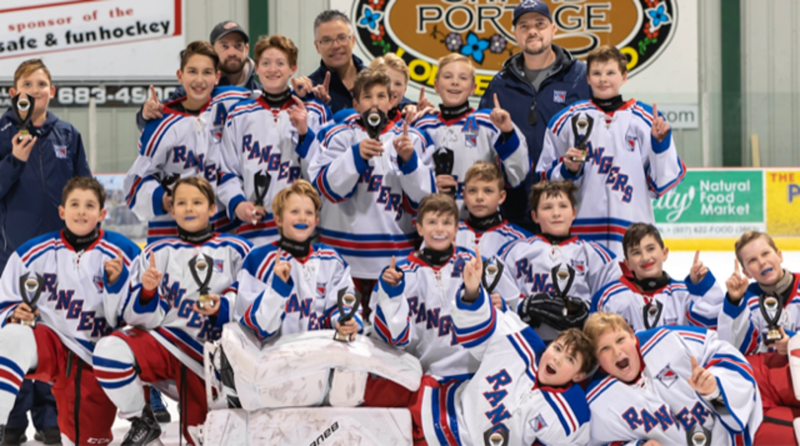 Congratulations to the PW A Martin Financial Rangers (Brick City) and the PW AA Westfort Rangers (NEEBING Thunder on Ice) on their Tournament wins!! REGISTRATION IS CLOSED - IP REMAINS OPEN!!! New IP registrants are required to bring a copy of the players Health Card and Birth certificate with payment. IP skates are Thursday's 5:30-6:30 and Saturday's 2:00-3:00 at Neebing Arena. 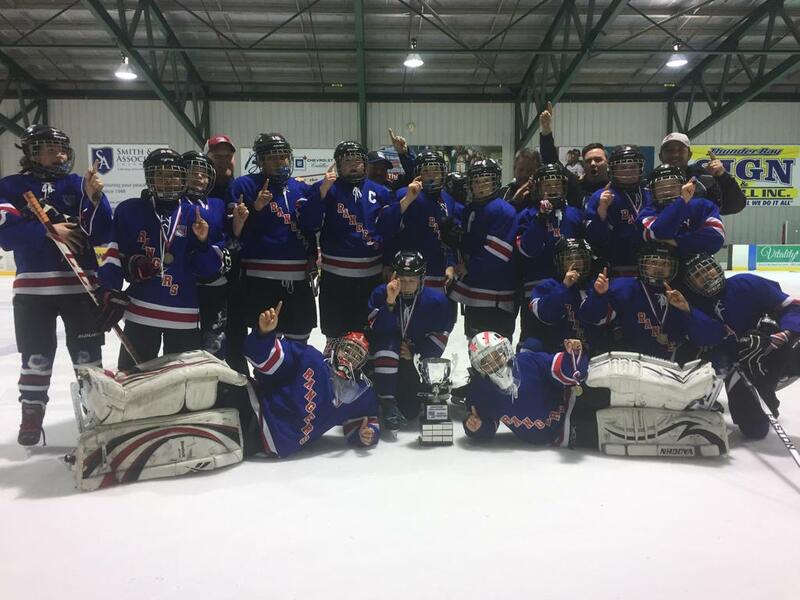 Westfort Rangers took home 5 of 7 divisions in the 2016 Keating Insulation Fall Classic. 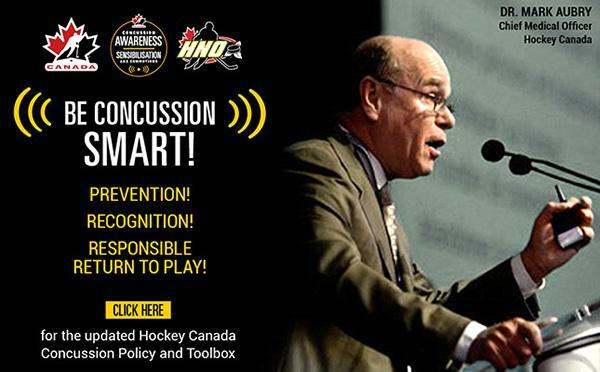 HNO is pleased to announce it has partnered with the Respect Group Inc. to provide an education tool that will further our commitment to fostering a safe and fun hockey environment for all participants. Beginning with the 2016-17 minor hockey season a minimum of 1 parent/guardian from each family with players at the Novice or Atom level will need to take the program along with 1 parent/ guardian from any players entering Hockey Canada programming for the first time in the peewee to midget age groups. NOTE - The Respect in Sport Parent Program differs from the Respect in Sport Leader/Coach Program. Therefore parents that have taken the Leader/Coach Program must still take the Parent Program. Westfort Hockey is extremely excited to announce that this season's IP program will be developed and supported by the Fox School of Hockey!!! This is an amazing opportunity for beginner players to get a great start to their hockey career!!! To learn more about Fox School of Hockey click on the Fox logo!! More details and registration dates to follow!!! Bradey Fox, Westfort's Director of Player Development, Named to Gold Cup Coaching Staff! Westfort Minor Hockey is extremely proud to announce that our very own Director of Player Development Bradey Fox has been selected as an Assistant Coach to the OHL Gold Cup. The tournament will feature the top players born in the year 2000, as the first step in identification for Hockey Canada's Under 17 Program. All Westfort Minor players are given opportunities throughout the season to work with Bradey and his staff from the Fox School of Hockey. Westfort Alumni Carter Hutton and current Rangers Sam Purdon and Carter Anton accept the brand new goalie equipment. Westfort Minor Hockey is extremely thankful for Carter Hutton, the Boys and Girls Club of Thunder Bay and the NHLPA Goals and Dreams program for the donation of a full set of Goalie Equipment!! Westfort hockey is extremely pleased and proud to announce that Bradey Fox and the Fox School of Hockey have been appointed as Head of Player Development! Fox School of Hockey uses a Deep and Deliberate Practice Model that focuses on breaking skills into smaller chunks, using high repetitions, and having coaches give immediate and continuous feedback to players. This Skill Development model has been found to foster confidence, focus and motivation, while allowing players to get more out of each training session. 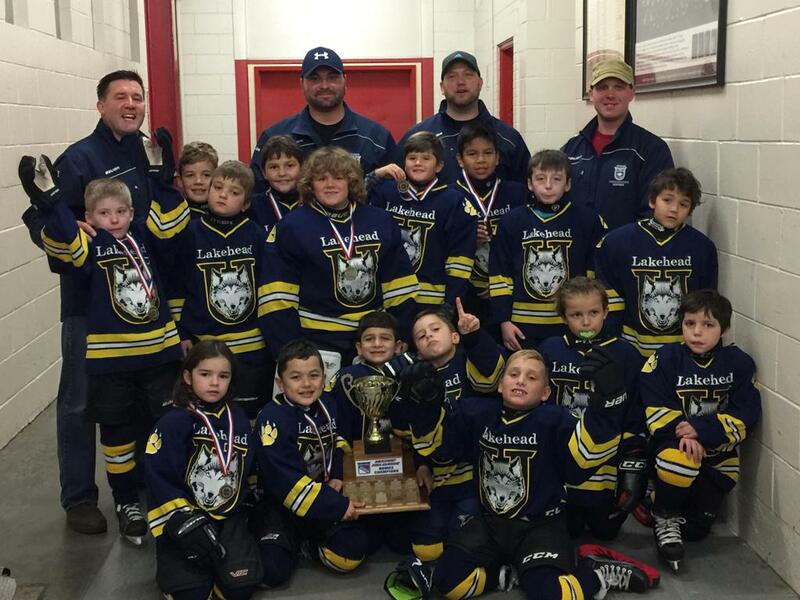 We look forward to working with Bradey and his team throughout the 2015/2016 hockey season. Welcome to the Official Home of the Westfort Rangers! 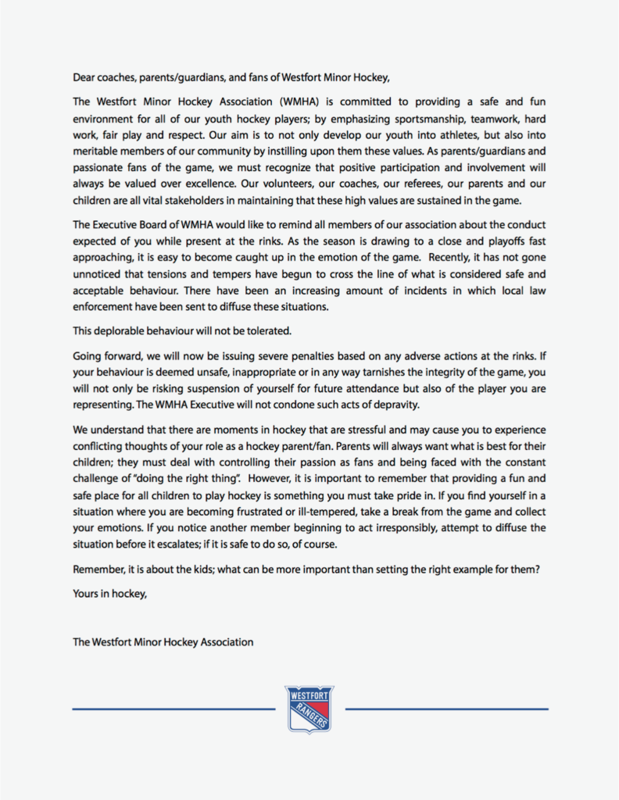 The Westfort Hockey Association is committed to providing a safe and fun environment for all of our youth hockey players. By emphasizing sportsmanship, teamwork, fair play and respect, we believe we produce not only good athletes, but great people. We are still accepting registrations for IP, Novice, Atom A and PW A. ©2019 Westfort Hockey League / SportsEngine. All Rights Reserved.